K-C’s Domestic Mobility team, in partnership with Weichert Workforce Mobility (Weichert), work in tandem to make your relocation experience as smooth as possible. The K-C Domestic Mobility team supports and serves as an advocate for K-C’s mobile workforce within the U.S. Our internal team manages the relocation assistance program, its related policies, and external service partners, including Weichert. Weichert, one of the most respected Relocation Management Companies (RMC) in the industry, is K-C’s relocation benefit administrator. 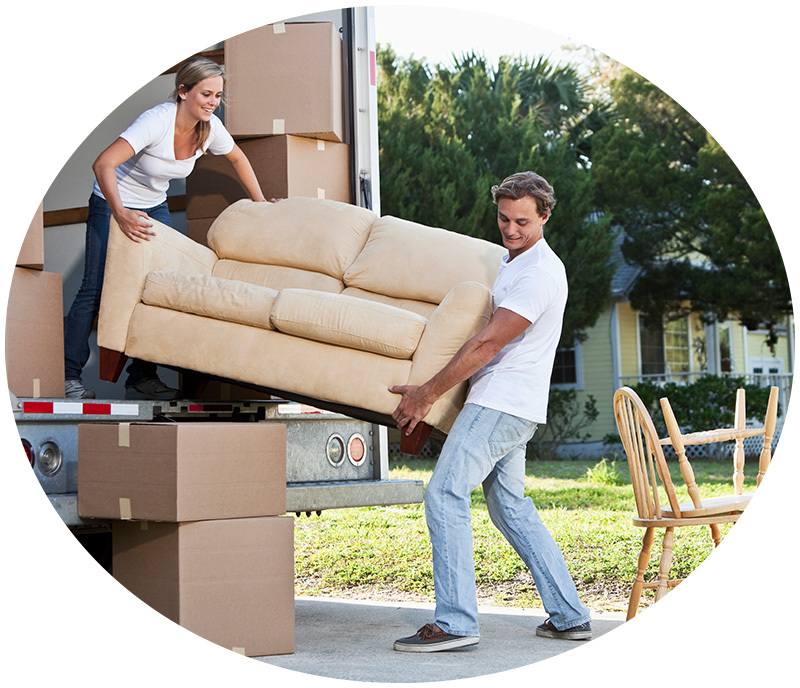 They’ll be your one-on-one contact to assist you with coordinating your relocation. Within 5 to 10 business days after receipt of your accepted electronic offer, K-C’s Domestic Mobility team will be in contact with you to start initiating your relocation benefits with Weichert. You’ll be assigned a Relocation Counselor (RC) from Weichert who will be your primary point of contact throughout your relocation. Additionally, your RC will connect you with a K-C preferred van line whose assigned Move Coordinator (MC) will be your primary resource for the household goods move. 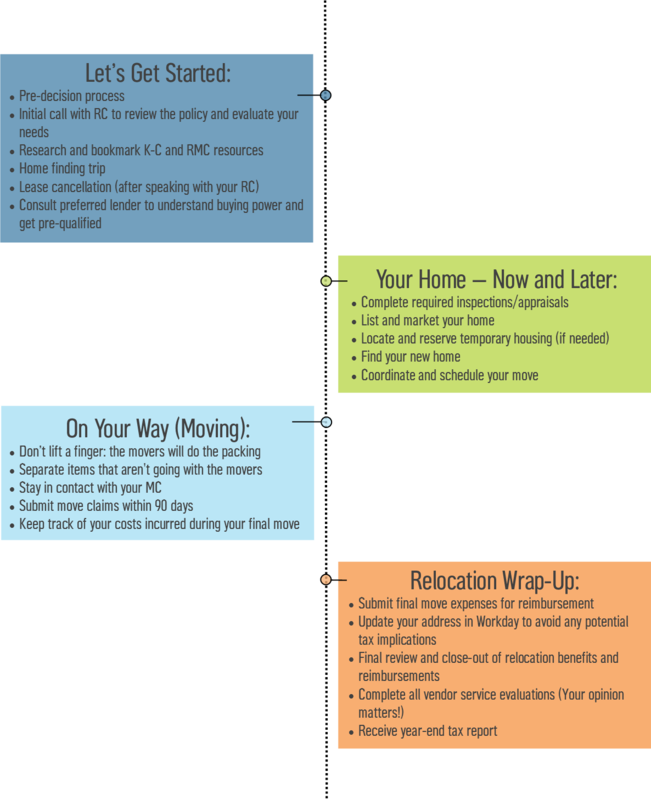 Wondering if you're eligible for relocation? The relocation assistance information on this website applies only to U.S. salaried-exempt employees and company-sponsored moves within the U.S. Contact your K-C recruiter to learn if your position is eligible for relocation assistance. Below you'll find a general overview of the relocation process and events. Note: Not all events below will apply to you. For more detailed information, review your applicable K-C relocation policy. The policy will be emailed to you by your RC, or you can also access it on K-C's intranet via @myHR > Employment and Hiring > Domestic Relocation.